One of my New Year's resolutions is to save more of my fabric scraps, especially scraps from knit fabric. Knit scraps make really nice stuffing and doesn't tend to compress the way polyfill sometimes can. 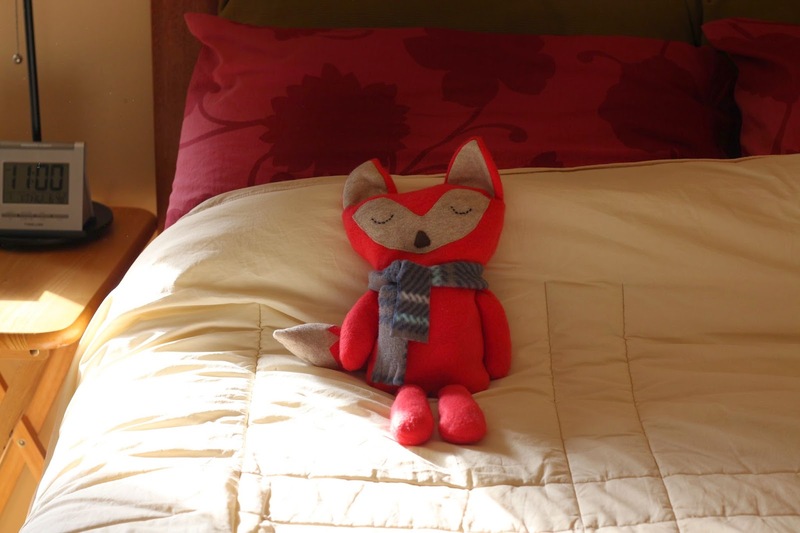 I started collecting scraps before Christmas and then saw this free stuffed fox pattern at Stitched by Crystal via SewCanShe. 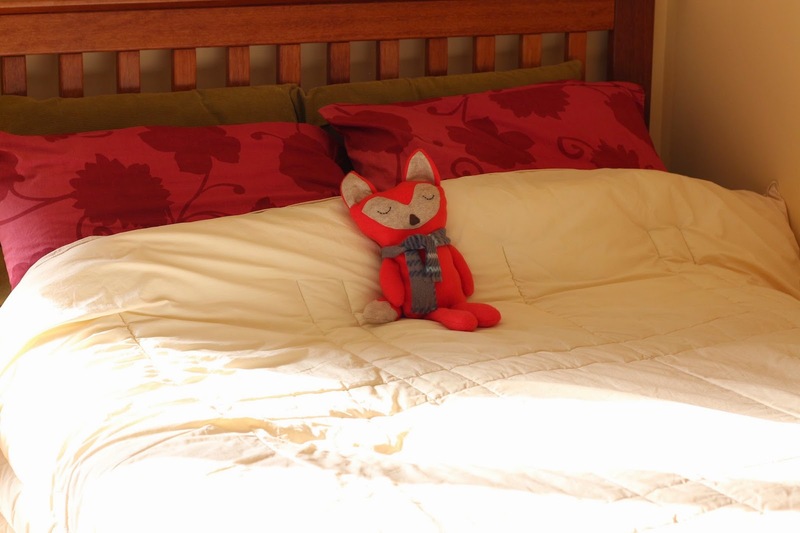 Since we had family coming to visit and stay in our guest space during the holidays, I made this little fox as a sort of guest room mascot. I decided to give him a sleepy face taking a cue from my daughter's Sewing School 2 book. 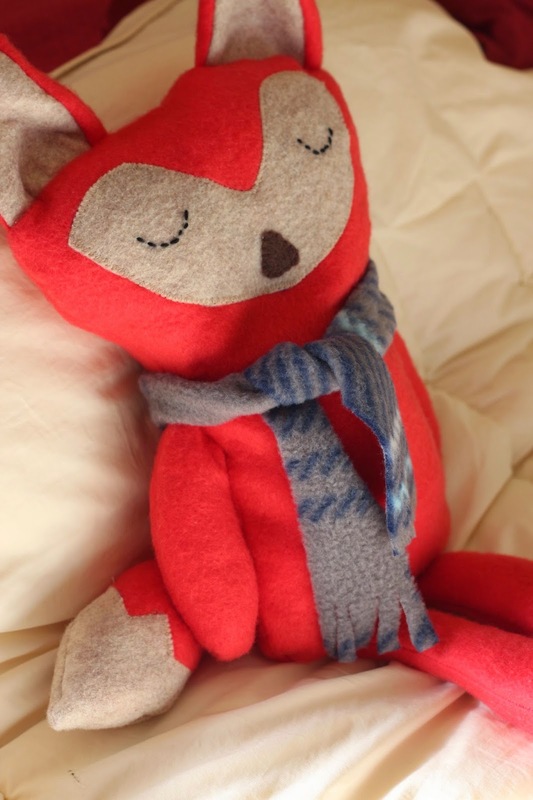 She's made a couple of these little sleepy bears from the book and they are super cute. I just love this guy. He's so cute and has a really nice weight since the fabric stuffing is heavier than traditional stuffing. And, the scarf is just such a fun touch. I'd love to get some more ideas of what to do with fabric scraps. Do you save your scraps? 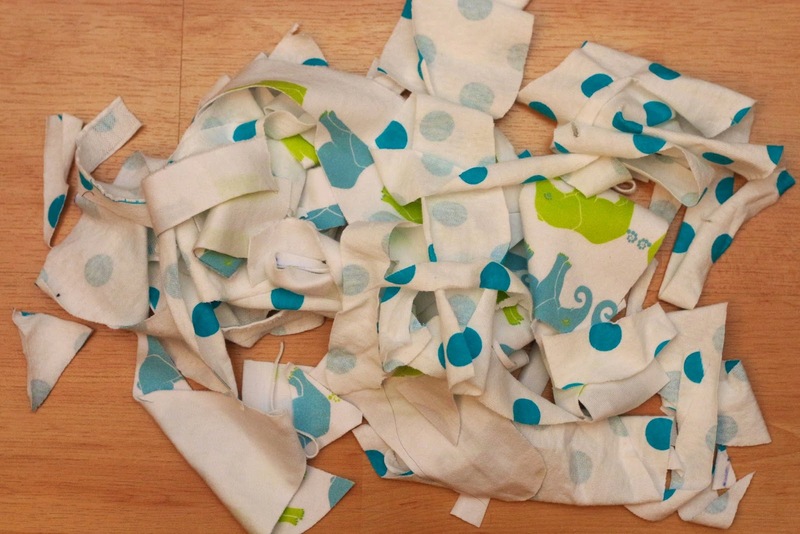 What's your favorite use for those scraps? 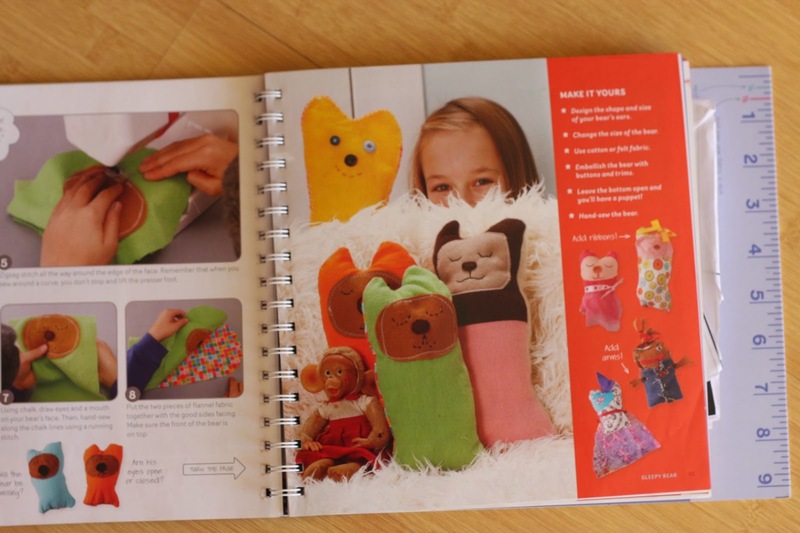 I am a scrap saver (for the most part)- and being new to sewing knits I wasn't quite sure what I was gong to do with them-- so big thanks for the stuffing idea! 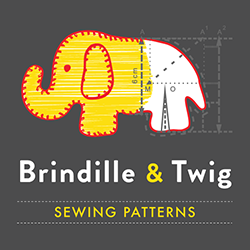 My kids use many of my small scraps as toys-- my 5 year old plans out quilts or pictures with the various scraps and my almost 3 year old guy uses them as dump truck fodder, sometimes they even play fabric store (warms my hear while making me realize I may have a fabric problem!). My goal is to actually use my scraps myself someday! 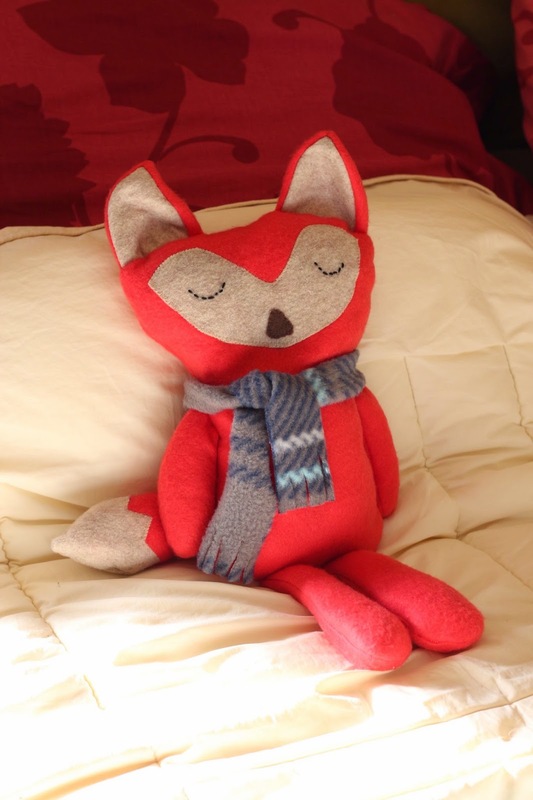 I love your fox, thank you for the idea of saving scraps for stuffing. I enjoy sewing scraps into squares and see what I come up with. Great for borders. I am also saving my scraps and want to fill up a beanchair with them. Double saving? I like to think so as I will not need to buy the chair's stuffing.